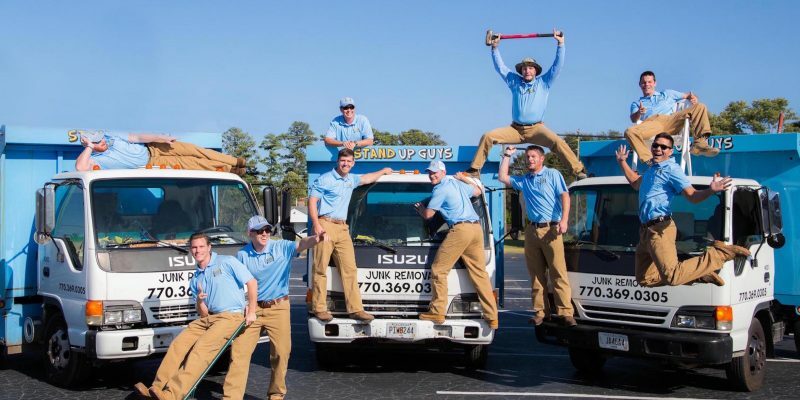 The Stand Up Guys Junk Removal Crew is located right here in the heart of Raleigh-Durham & we’re here to help you with ALL of your junk removal needs. Whether you’re looking to just get rid of one item, or clean out your entire home or office. The Stand Up Guys will manage everything you need from beginning to end. We cover all of the Raleigh–Durham–Chapel Hill Area and all of the surrounding cities and counties, like Cary, Apex and more.. The Stand Up Guys are well-known throughout the area because of our attention to customer service, 100% customer satisfaction, and our unbeatable value.